When the national media ran a story in September last year about a women’s football club asking its reserve players to secure kit sponsorship and to pay their match fees, plenty of people in the women’s game were surprised WRITES CARRIE DUNN. Not by the story itself – but by the fact that it was considered news. 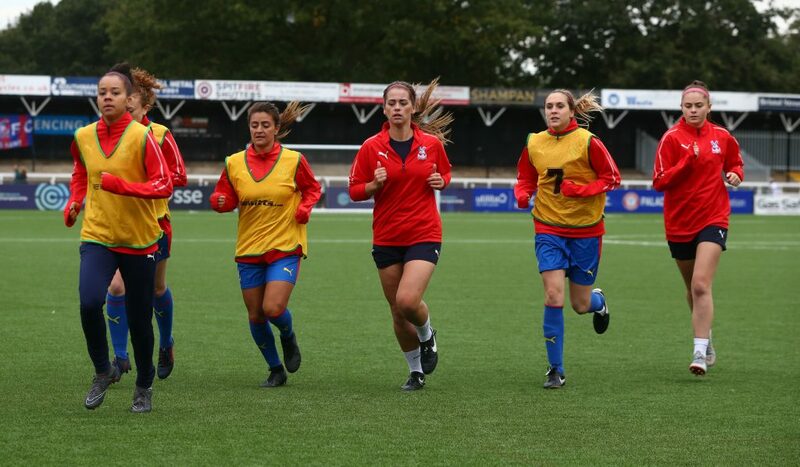 The story suggested that Crystal Palace Ladies required each player to contribute £250 – either through sponsorship, or from their own pockets. But a source close to the club explains now that the story that ran in the national media was not quite accurate, and, as she understands it, applied only to some members of the development side after a league restructure affected their funding. Even more headlines were grabbed a few days later when Palace star Wilfried Zaha wrote a sizeable cheque to fund the women. 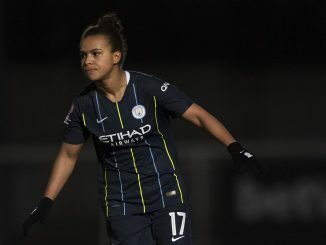 This player says she doesn’t pay and has never paid a single penny to represent the side – everything is covered, including travel and accommodation for away games, along with a wage. 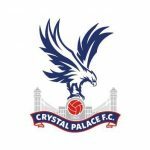 It’s not always possible or practical to expect a single donor like Zaha to cover costs – or even for a company to step in as club sponsor. In the women’s game, sponsorship on a relatively small scale remains a vital source of income – and when players are not fully professional, match fees (essentially “paying to play”) are still required. Middlesbrough - In 2003, the men's team came up with a shirt sponsorship deal to help the women's team. Chelsea - A personal donation from then men's captain John Terry kept the women's team afloat in 2003. Norway - Both national teams get paid equally - but the men's team now share their commercial income with the women too. 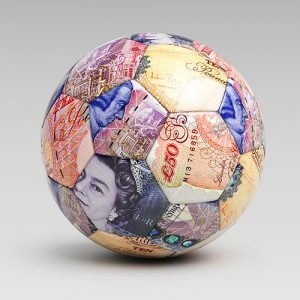 Clubs are loath to go on the record about their financial situations, but plenty of them have had to go public about money problems by necessity. Yeovil Town launched their campaign to compete in the top flight of the Women’s Super League by seeking crowdfunding – unable to draw on the same financial support as those clubs attached to big names in the men’s game, they needed money from elsewhere. 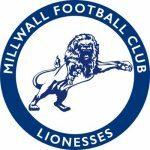 Last campaign, Millwall Lionesses used crowdfunding to raise enough cash to get them to the end of the season after a series of bills required immediate payment. 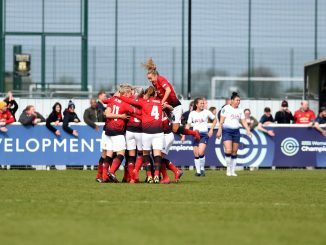 The squad themselves didn’t find out about the problems until close to the kick-off of an important fixture – at that time they were still on an excellent run in the league and had aspirations to challenge for one of the top slots in WSL2. “It was so bizarre, the whole thing – we still continued to play for the entirety of the rest of the season, not really knowing if we were going to fold before the end of it,” says a player who was part of that squad. She says that they were expecting a winding-up order any minute. She says the players knew that they would need cash in as soon as possible to settle the club’s debts, and then that they would need to find sponsors to enable them to continue competing. The squad also agreed to a delay in the payments they themselves were owed – but there was never a question they would not play. Doncaster Belles know that only too well. 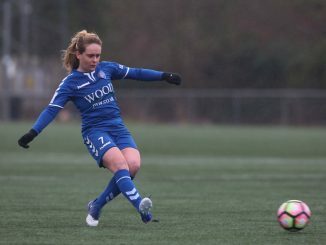 They were all set to start their 2018-19 season in the WSL having secured promotion the year before, but after losing a key club sponsor in the summer they opted to drop down to the third tier, knowing they would struggle to sustain a professional or semi-professional team without that money. But fascinatingly, something positive may be coming from this. 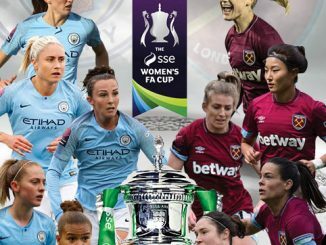 Women’s football has long been proud of its strong connection and engagement with its fans – and clubs facing financial problems have found that the fans have been happy to reach into their pockets and become kit sponsors. This might be sponsorship on a reasonably small level, but for most clubs, this kind of cashflow is vital, and goes alongside any bigger corporate deals they might be able to strike. Kyle Thornton is sponsoring a player for the first time at Belles. Leanne Brown is also in her first season sponsoring a player at Doncaster Belles. She sums her motivation up emotively by saying she chose to support the club in that way “to give something back to the game which I love”. When economic times are tough, and big business still seems to be waiting to be convinced of the value of investing in women’s football, the only consistent source of cash remains the fans – the people who have helped keep the game going for decades. WHAT IS IT LIKE AT YOUR CLUB, FOR YOU AS A PLAYER, COACH, PARENT AND/OR FAN?